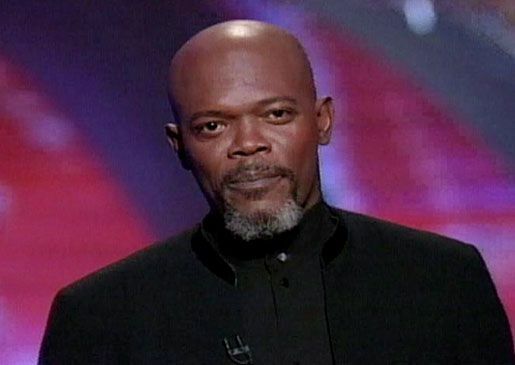 The world's pre-eminent bad%@# mother-you-know-what-er is now the slickest MTV Movie Awards host in recent memory. 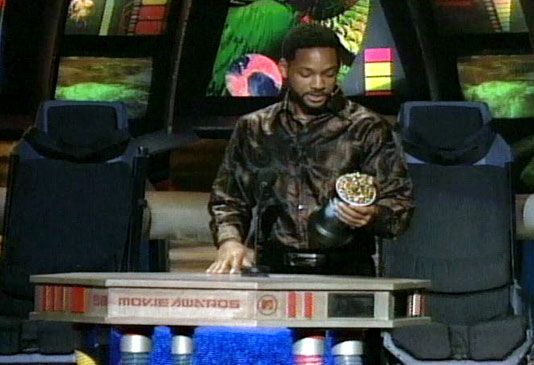 Men In Black-star Will Smith accepts Best Fight, and later, Best Song From A Movie in a sweet old school beard. 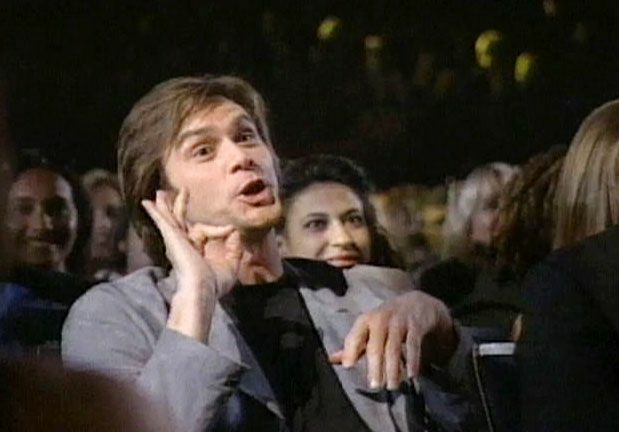 Oh weird, it's Jim Carrey freaking out at the MTV Movie Awards. No, wait, that happens every year. 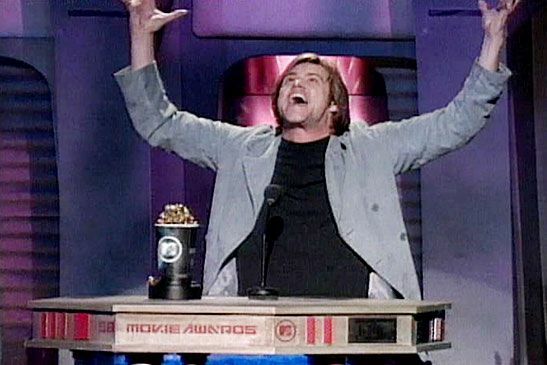 The original king of the world, Jim Carrey, accepts Golden Popcorn for Best Comedic Performance in Liar Liar. 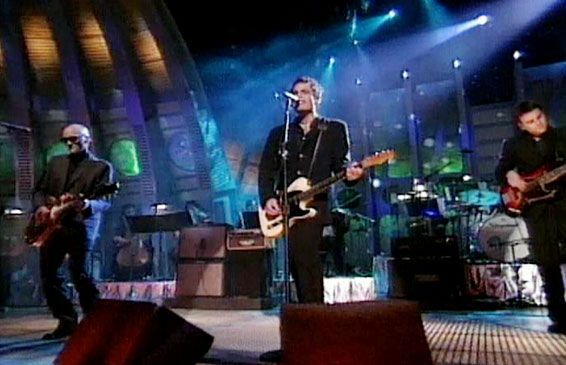 Jakob Dylan leads The Wallflowers in a cover of David Bowie's classic, "Heroes." We had to cut Drew Barrymore out of this one to make room for Adam Sandler's track suit, but trust us, she's up there winning Best Kiss with him for their Wedding Singer smooch. 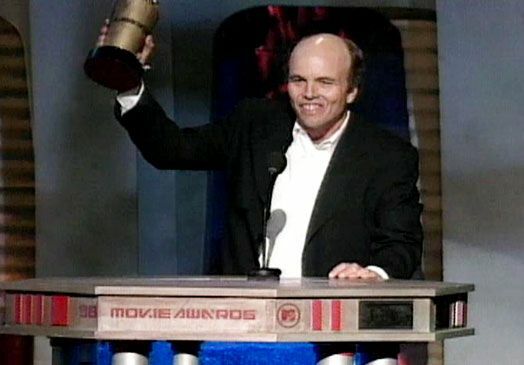 Coolest actor ever Clint Howard (aka Ron "Opie" Howard's brother) accepts a Lifetime Achievement Award for playing every bit part ever. 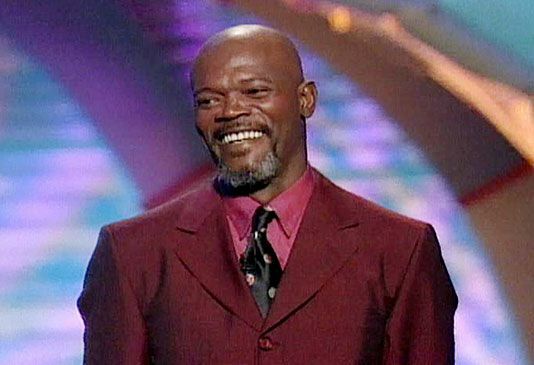 Host Samuel L. Jackson is telling us with his eyes, "I may be an incredibly successful actor, but no job has ever made me as happy as hosting the MTV Movie Awards." Before Jenna Elfman and Woody Harrelson present Mike Myers with the award for Best Dance Sequence in Austin Powers, they all shake their butts. For once it's the Golden Popcorn and not the winner who's lucky, as mega-babe Heather Graham takes home the trophy for Breakthrough Performance as Roller Girl in Boogie Nights. Oh, look. It's Party Of Scary Movie Five. Jennifer Love Hewitt and Marlon Wayans present the award for Best Kiss. "There's nothing where! We used to lie! My inspiration has run dry!" Do you think Jennifer Love Hewitt is bummed that she only gets to present while Neve Campbell gets to win Best Female Performance for Scream 2? 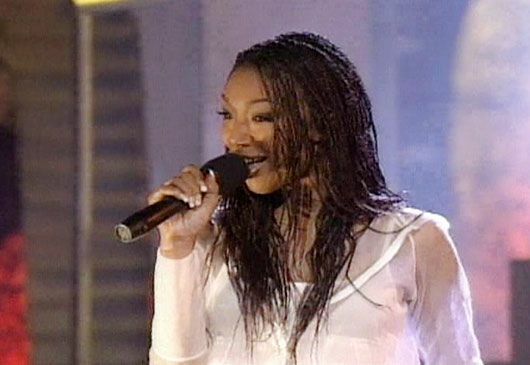 Motivational speaker and Moesha-star Brandy tells the crowd about growing up in the spotlight. Just kidding. 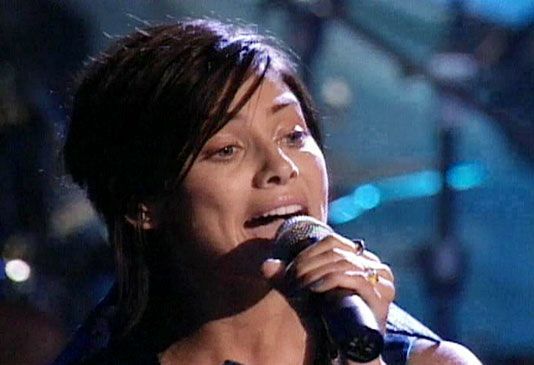 She's totally singing. This guy Jon Landau, have you heard of him? 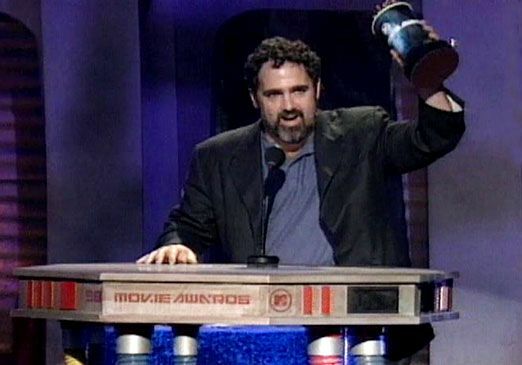 Here he accepts the Golden Popcorn for Best Movie of 1998 (and, to some, ever) Titanic. Think he knows Leo?! ?